Climate change risk to the UK? Many research efforts over the past fifty years have focused on the generation and propagation of tsunamis resulting from earthquakes, which are now relatively well understood. In contrast, the importance of tsunamis generated by landslides has only become widely recognized during the last fifteen years or so, when it became apparent that a landslide source could explain the unusual run-up distributions and propagation characteristics of certain particularly deadly tsunamis. This £2.3 million consortium is funded by the Natural Environment Research Council (NERC) to assess the hazard that submarine landslide-generated tsunamis pose to the UK. 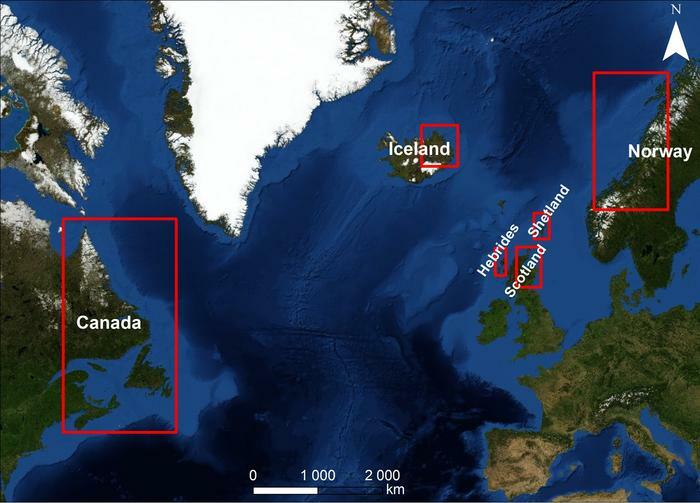 Led by the National Oceanography Centre Southampton, the consortium involves 11 UK partners. The consortium will run for four years from October 2012 and involves sea and land-based fieldwork, modelling studies and societal cost estimates. Deliverables will be supplied to the UK flood-risk management (Environment Agency, Department for Environment Food and Rural Affairs, Scottish Environment Protection Agency), the re-insurance sector (Willis Research Network) and the Intergovernmental Oceanographic Commission of UNESCO. 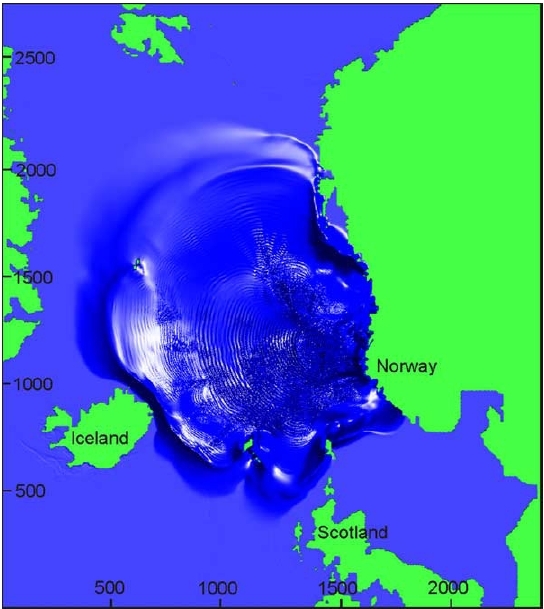 Will climate change in the Arctic increase the landslide-tsunami risk to the UK? Fieldwork to understanding past submarine landslide and tsunami frequency. 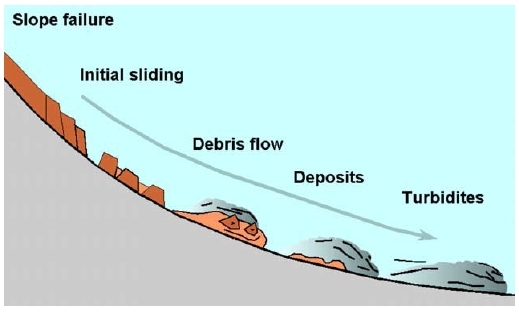 Why are landslide generated tsunamis dangerous?